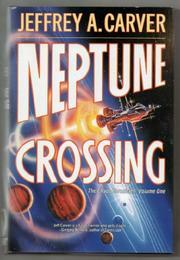  First of a series involving aliens and chaos theory, and set on Neptune's moon Triton, from the author of The Rapture Effect (1987), The Infinity Link (1984), etc. After alien ruins are found on remote, chilly Triton, the MINEXFO mining corporation sends an expedition to prospect and recover usable, if mysterious, metals. Surveyor John Bandicut, wandering past his allotted search area in a fugue state (his implanted computer links have been disabled in a medical accident, and he's crumbling mentally), falls into a cavern beneath the ice, where he encounters an alien machine known as the ``translator'' and its disembodied companion, the ``quarx,'' which, much to Bandicut's confusion, ends up inside his head. The quarx, a sort of wandering galactic do-gooder, has been slumbering on Triton for millions of years; but the translator has been wide awake and, thanks to its advanced understanding of chaos theory, has determined that a comet will soon smash into the Earth. Slowly, Bandicut comes to believe the quarx and helps it make plans to save the Earth. These plans, to Bandicut's consternation, involve, first, stealing a spaceship; then, boosted by the translator's magic--sorry, super-scientific--glowing stones, they'll whiz across the solar system and blast the comet. After that, Bandicut will find himself somehow light-years from home, approaching an alien installation hanging in space. And so to the next installment. Unevocative, with recycled ideas, poorly digested and extrapolated science, and no characters worthy of the term in a drama that has its more ludicrous aspects. Not an auspicious send- off.